The trouble with most disguises is that one detail that one doesn’t consider when finishing up the look. Most consider the obvious ones. You’ve got a good mask that covers up all your notable features from your perfectly formed cheek bones to the signature eyebrows that might be recognized by a particularly groom-heavy significant other. You’ve put together a solid chest armor and possibly matching leggings to guise your otherwise human form. You might even have a few accessories to deepen the illusion. But, have you thought of everything? Any other feature you’ve taken for granted!? It’s your hands. That’s the one that gets overlooked the most often. 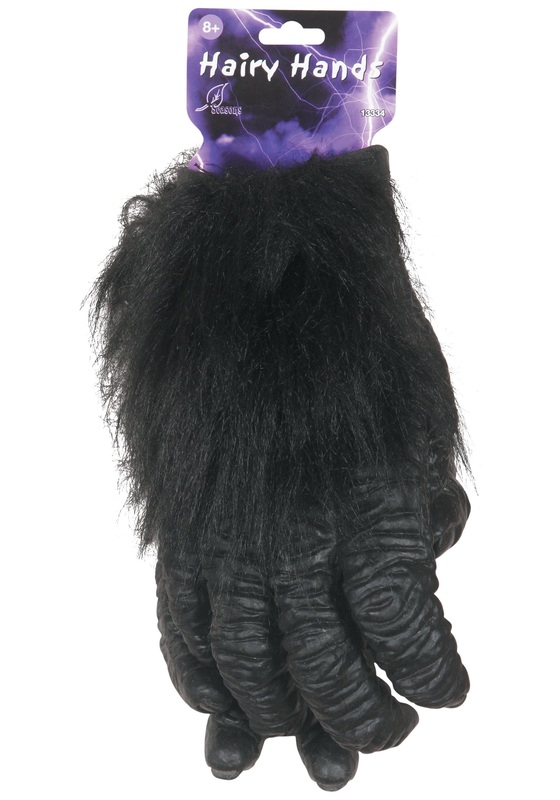 And, if you’ve got yourself decked out in a full ape costume and you’re ready to conquer the planet for your new chosen species, you better have some solid Gorilla Hands to cement the image! Those hairless human digits of yours might be great for typing, but they won’t be catching any deadly boulders or beating down your gorilla chest to ensure your victory over the hairless apes! And, worse, the other monkey-folk might catch on and throw you in the pens designed for the rest of the humans! Be prepared for all!